Two generations of the Deyo family as part of the North Branch Bowmen. When will the Education & Marksmanship open? We foresee opening the center in the fall of 2017. How large will The Education & Marksmanship Center be? We are building a 26,000-square-foot state-of-the-art marksmanship facility to host the organization’s many training classes and programs. The Education & Marksmanship Center will offer educational classrooms; 40 lanes for archery, handgun, air rifle, centerfire large- and small-caliber rifle, and slug shotgun; a lobby/multi-purpose area; an equipment storage space; office space; a kitchen and snack counter; restrooms; and safe and well-lit parking. Why build an indoor facility? The new center will allow CCSSEF to expand its class offerings to include outdoor enthusiast and marksmanship skills, as well as techniques, safety practices, and reloading clinics. Construction of an energy-efficient, environmentally friendly facility will expand our ability to integrate local programs with the appropriate regional/national level programs to bring the broadest opportunities to local participants. This multi-use facility also will assist us to continue to function as a venue to support community events. Who’s going to pay for The Education & Marksmanship Center? We are receiving pledges from a variety of local-area community members and businesses. The remaining funds will be raised from this capital campaign. No taxpayer funds or government grants are involved. Who will oversee the operations of The Education & Marksmanship Center? The facility will be operated by the Cheshire County Shooting Sports Education Foundation Inc. (CCSSEF), a 501(c)(3) nonprofit charitable organization with a proven record of accomplishment. How will the Education & Marksmanship Center be financially beneficial to our community? The Center will have a positive economic impact, requiring architectural, engineering, and construction services, as well as providing greater opportunities for tourism and sporting events. 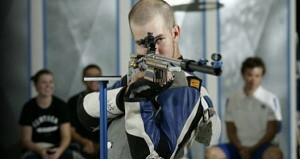 Who can use the Education & Marksmanship Center? The Education & Marksmanship Center will be open to the public for use by recreational and competitive shooting sports enthusiasts. Just as the outdoor facilities are used now, the indoor facility will be used by members of the public; youth, adults, and families; area sporting leagues; youth organizations; school extracurricular programs; collegiate sports teams; outdoor enthusiasts; federal, state, county, and local law enforcement officers; hunting and conservation organizations; private security companies military training programs; and others. What is the goal for this capital campaign? We need to raise at least $3,000,000 to build the Education & Marksmanship Center, which is based on data from our architectural firm. Do we need all the money before we break ground? No; the start of construction is intended for late summer 2016 and will depend on the success of this capital campaign. All permits and approvals have been received. 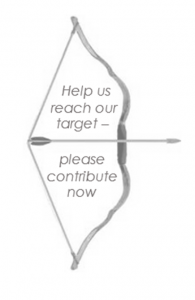 We intend to raise all money as early as possible, as we do not intend any debt service. What is the pledge period? We will focus our efforts on a two-year campaign period; however, we gladly will accommodate other timeframes. Obviously, one-time gifts also will be an option. You may contribute securely online now using PayPal or mail payment using the printable pledge form available here. You may pledge an amount payable in monthly, quarterly, semi-annually, or yearly installments. You may choose to be billed, or set up payments using PayPal or your credit card on an automatic basis. Will there be memorial or naming opportunities—or other giving options? Yes, those opportunities are being developed.